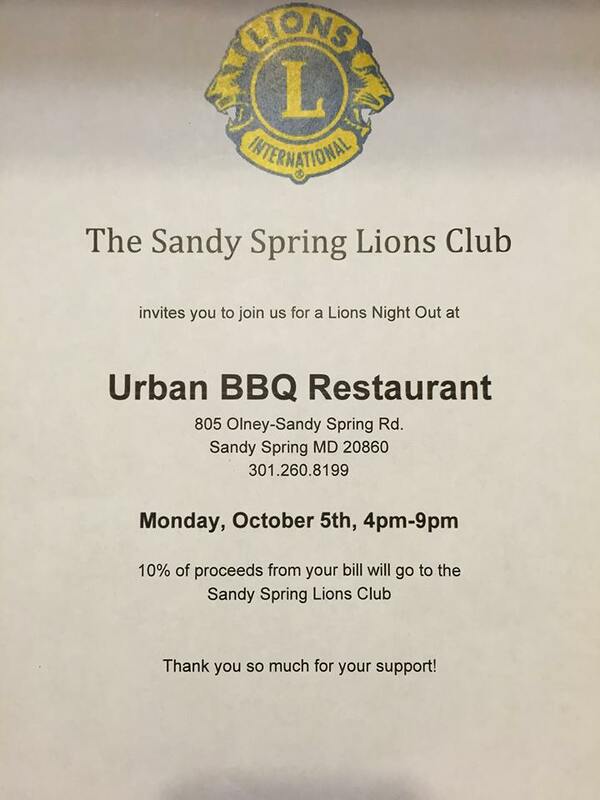 The Sandy Spring Lions invite you to join us at Urban BBQ in Sandy Spring on the evening of October 5th. This is our second restaurant fundraiser where we try different restaurants around Sandy Spring. Several Lions sampled the fare at Urban BBQ and enjoyed it immensely. Hopefully we’ll see you there!